EVANSTON, Ill. — With the ability to leech heavy metals from the environment and digest a potent greenhouse gas, methanotrophic bacteria pull double duty when it comes to cleaning up the environment. But before researchers can explore potential conservation applications, they first must better understand the bacteria's basic physiological processes. Northwestern University's Amy C. Rosenzweig recently has constructed another section of the puzzle. Her laboratory has identified two never-before-studied proteins, called MbnB and MbnC, as partially responsible for the bacteria's inner workings. "Our findings extend far beyond methanotrophic bacteria," said Rosenzweig, the Weinberg Family Distinguished Professor of Life Sciences and professor of molecular biosciences and chemistry in Northwestern's Weinberg College of Arts and Sciences. "These two proteins are found in a range of other bacteria, including human pathogens." Methanotrophic bacteria, or more simply "methanotrophs," take copper from the environment to install into the molecular machinery that metabolizes methane, turning it into methanol for food. To acquire copper, many methanotrophs secrete a chemically modified peptide called methanobactin, which tightly binds to copper ions to pull them into the cell. Until now, the cellular machinery that drives the formation of methanobactin has been little understood. Rosenzweig's team discovered that two proteins – MbnB and MbnC – are partially responsible for the production of methanobactin. Together, these proteins form an iron-containing enzyme complex that converts an amino acid into two organic chemical groups. This chemistry results in methanobactin, which recruits copper into the cell. Rosenzweig and her team also discovered that these two proteins drive methanobactin production across all families of methanobactin-producing species, including non-methanotrophs. "The involvement of a metal-requiring enzyme in forming these types of chemical groups is unprecedented, and neither of the two proteins have been studied previously," Rosenzweig said. 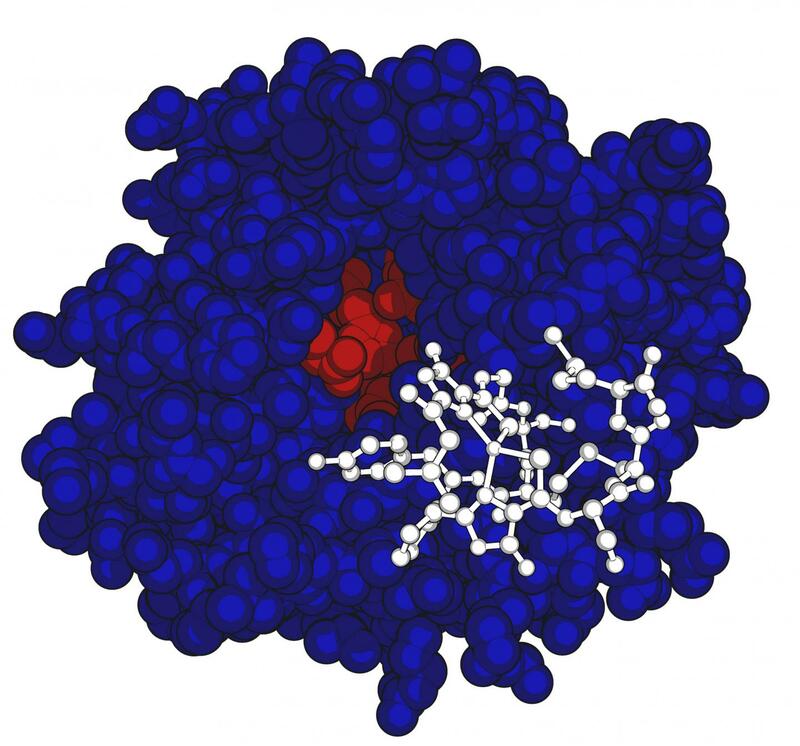 "Moreover, similar enzymes seem to be produced in other contexts, suggesting that this chemistry is important beyond the production of methanobactin." This discovery makes it easier for researchers to study methanobactin because they can work with the proteins in test tubes rather than manipulate entire living microorganisms. It also brings the world closer to methanotrophs' promising applications. Many people imagine using filters constructed from the bacteria to scrub methane out of the atmosphere or to help remove methane from natural gas reserves. But Rosenzweig believes that because of methanobactin production, methanotrophs have applications that extend beyond cleaning up the environment. Because methanobactin binds copper so tightly, it has been investigated as a treatment for Wilson disease, a rare genetic disorder in which patients' bodies cannot eliminate the copper they ingest in food, so it accumulates in the brain and liver. Some researchers also believe that methanobactin has antibacterial properties and could be used in a new class of antibiotics. "Now that we know which microbial genes and proteins to look for, and now that we know what some of the key proteins do, we can effectively predict which species will make new and different methanobactins," Rosenzweig said. "And we can test those compounds for bioactivities." The study is titled "The biosynthesis of methanobactin." Grace E. Kenney, a graduate student in Rosenzweig's laboratory, served as the paper's first author.